The first year that our 1:1 iPads were released, I taught primarily reading and writing. I love technology, but I was more than a little concerned about my students' writing skills declining. I had used a lot of technology in the past for research and creation in project based learning, but had also used journals and other hand written forms. While many other teachers fell in the trap of shiny reading and writing apps, I was determined to make sure that my lessons stayed consistent with what I knew were the essential lessons my students needed. We continued to integrate writing into project based learning, but my writer's workshop and other mini-lessons went totally digital. Here are my tips after spending a few years implementing writing on 1:1 devices. I've always heavily modeled writing, but it became even more important when we were 1:1. The great thing about having the devices was that I could share my model digitally. At first, I took a picture of my anchor chart, but later on I started loading my examples into Google Slides before our lesson. When I teach my mini-lesson, I walk my students through each step of the writing process, thinking out loud, and hand writing everything down. 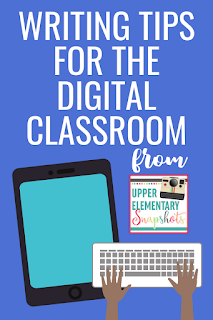 I knew that this needed to stay consistent when using 1:1 devices, so I put all of my examples in Google Slides where my students could always access them. Having these teacher models on hand really helped my students, especially when they were absent for my instructions. Putting everything in Google Slides made it fairly easy for students to write notes on my examples. However, I couldn't just expect them to know what to do. The first several times we used the devices in our writing gathering place, I had to show them exactly what I wanted them to take notes on. I also think it's important to have students write goals for that day's session. For example, if you're working on introduction paragraphs that day, have them write immediate goals pertaining to them writing their introduction paragraphs. These can easily be added in Google Slides, or on any task list app (MinimaList is my favorite because they can also time themselves on the task). I always give directions during our mini-lesson, but there are always a few students that forget by the time they get to their desks. Have their directions ready to go in Google Slides or Google Classroom. This, along with their task lists, will ensure less questions from students about what they need to be doing. 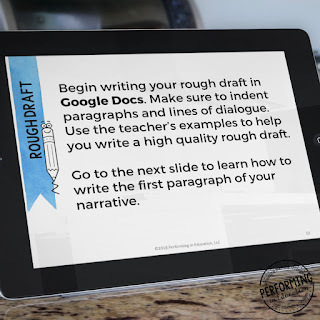 Preparation is really key when you're taking your writing lessons digital. 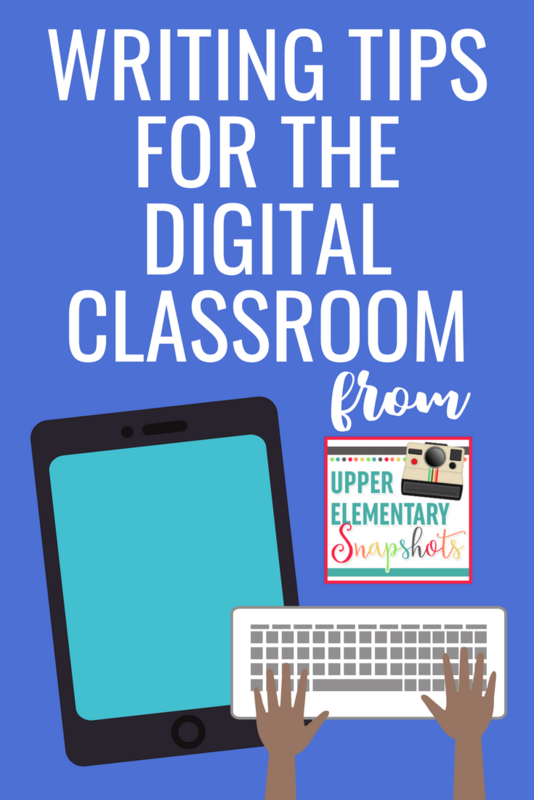 You can find my full lessons for 4th and 5th grade, in paper AND digital form, by clicking here. 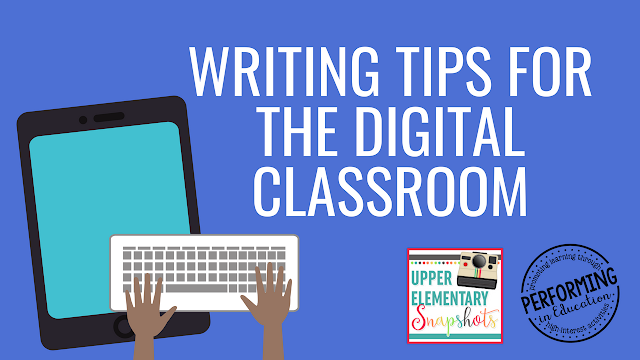 These three steps will help prepare your students to easily create quality writing in Google Docs, or any other word processing app!